Easily attach a variety of accessories to the front of your vehicle with this fully welded, corrosion-resistant trailer hitch receiver. Perfect for winches, spare tire carriers and more. 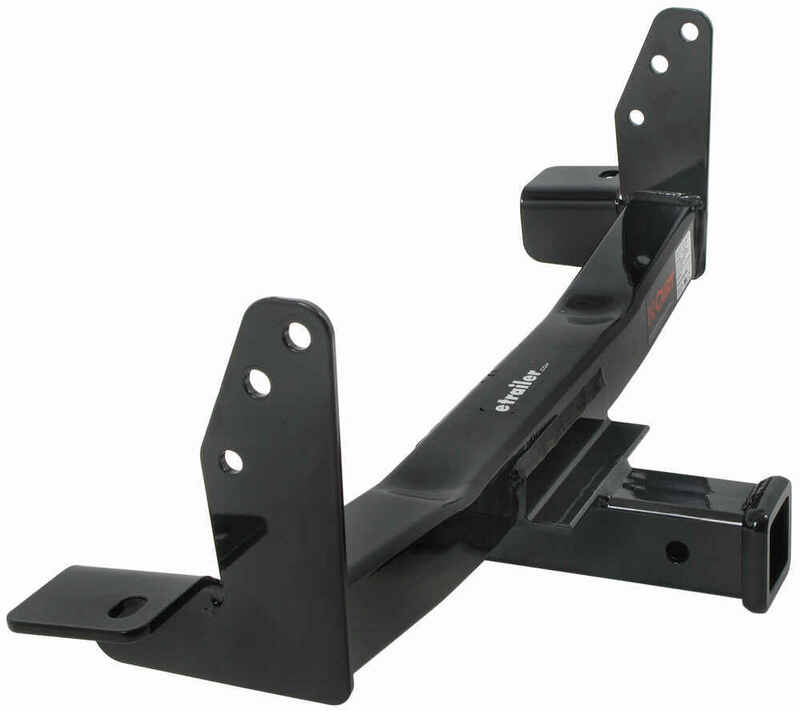 Call 800-298-8924 to order Curt front hitch part number C31023 or order online at etrailer.com. Free expert support on all Curt products. Guaranteed Lowest Price and Fastest Shipping for Curt Front Mount Trailer Hitch Receiver - Custom Fit - 2". 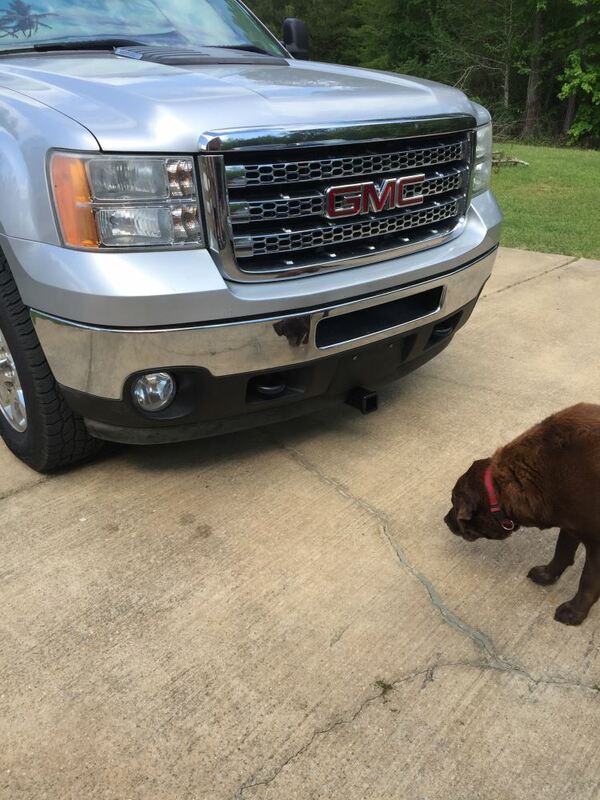 Front Hitch reviews from real customers. Note: Uses existing vehicle hardware for installation. Additional hardware not included. 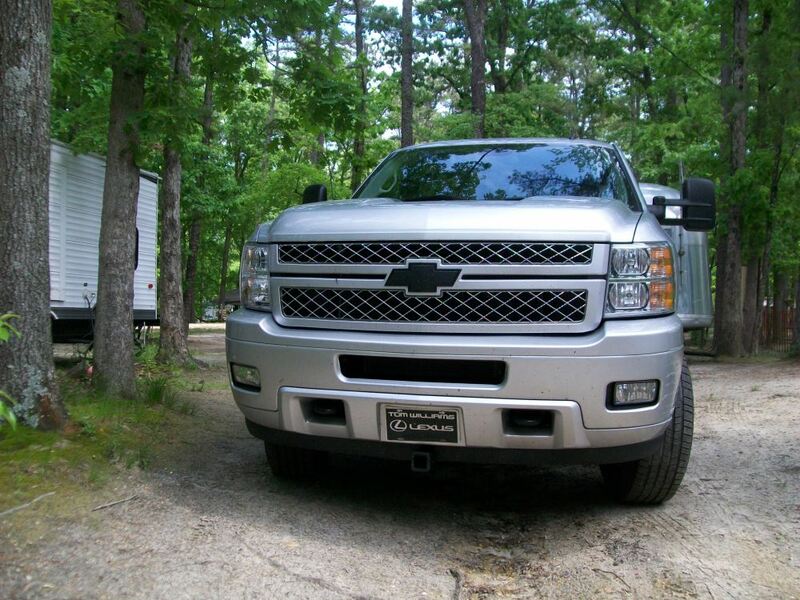 Video of Curt Front Mount Trailer Hitch Receiver - Custom Fit - 2"
Today on our 2014 Chevrolet Silverado 3500, we're going to be taking a look at, and also showing you how to install, the CURT front mounted trailer hitch receiver. This is a custom fit that offers a 2" x 2" opening. The part number is C31023. This is what our hitch is going to look like installed. As you can see, pretty clean appearance. As you can see, most of it remains hidden behind our front fascia, here. In the middle, we've got our 2-inch by 2-inch receiver tube opening. Now, front mount hitches are great for a lot of different accessories. You'll see some people that have a winch mount that they'll slide in, be able to use that. Works out really well for snow plows. You can attach them there rather than having to modify the whole front of the vehicle. There's a lot of different accessories that'll work out really well for it. As far as weight ratings go, it's going to have a vertical load limit of 500 pounds. That's going to be the maximum downward force that you can put, here, at the receiver tube opening. 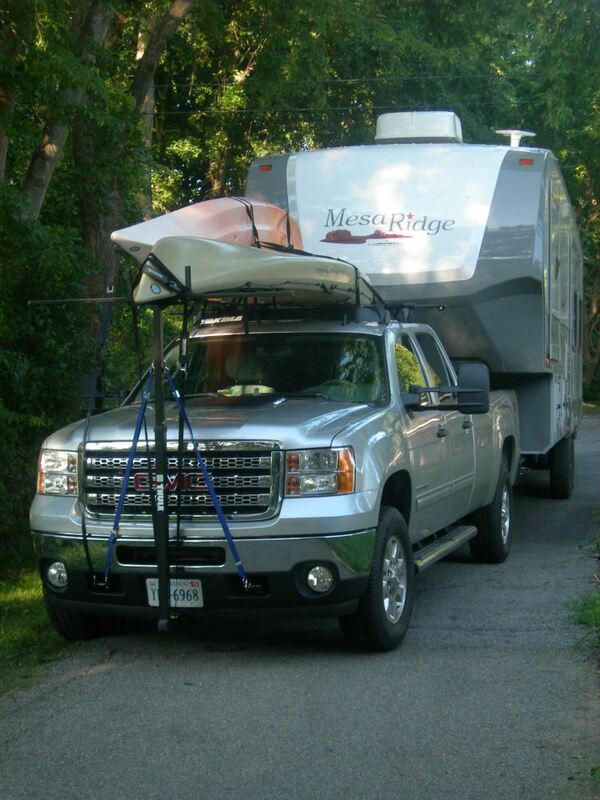 If you plan on moving trailers around with it which in some of the reviews that's what people say they use this front mounted hitch, so they can get their boat into a real tight spot or something like that, it offers a 5,000 pound gross trailer weight rating. That's the total weight of your trailer and anything that you might load up on it. As far as a winching application would be concerned, when you put a winch in here and try to pull something, it has a 9,000 pound straight line pull rating. It's a really nice sturdy hitch. Very easy to install. 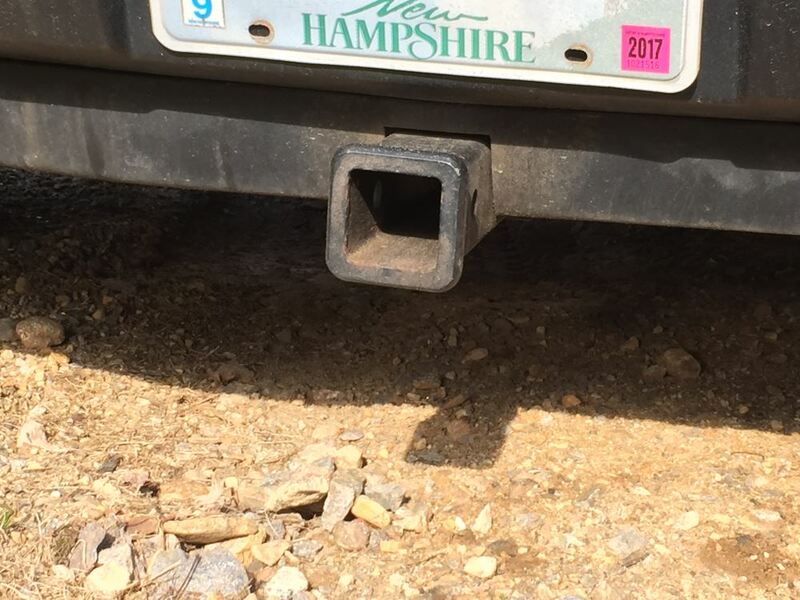 It's going to use factory connection points from both your tow hooks and your bumper. Pull them out, raise the hitch into position, slide them in, reattach the hardware, and it's really all there is to it. It has the nice flush reinforcement collar on the end, here. See, it's going to be just tucked in from the outside edge of our bumper a little bit, here, so we're not going to have to worry about running into it or anything. Then, we've got our 5/8 diameter pinhole, here, on the side. That's what we'll want to use to secure all of our items with. You'll see for hitch pins, and clips, plenty of room there. If you have a winch mounted, here, and you want to lock it into place, locking hitch pin should work fine. Even anti-rattle devices should be able to go on there without any interference issues at all. 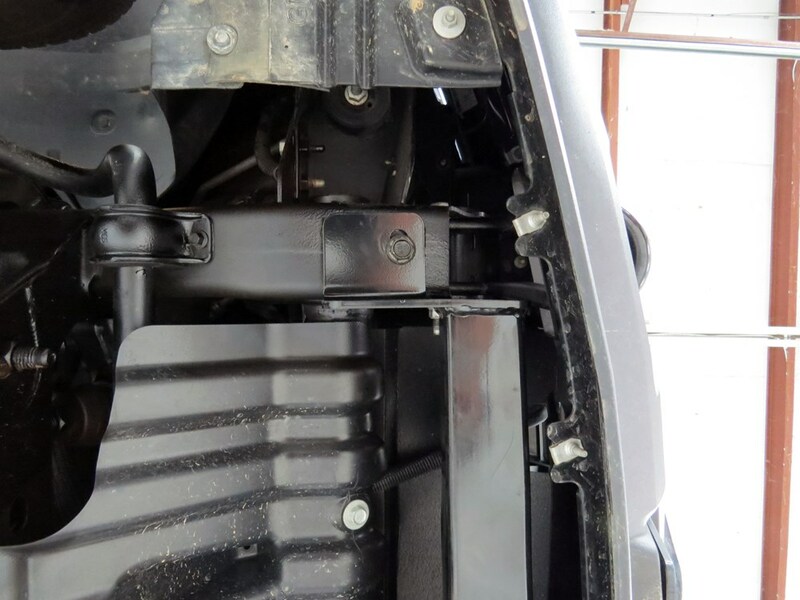 Now, a few measurements that'll be helpful when you start selecting your front mount hitch accessories will be from the ground to the inside top edge of the receiver tube opening, we've got about 12". Then from the center of the hitch pinhole to the outermost edge of our front bumper, it's about 4 3/4. To begin our installation there's going to be a small area that we need to remove, here, on this underside lip, if you're truck's equipped with it. It's just going to allow the receiver to come through without interfering. We want to leave this on, if you have it, and just get it trimmed out. What we need to do is find the center line of the vehicle, or the center line of that fascia strip. From our center line, here, what we're going to do is go out 1-inch and 3/8 from each side. I'm using a dry erase marker. That can sometimes help in cleanup a little bit later. Get an inch and 3/8 here, and then we'll go out to 2 3/4 there. Now, from the intersection where it meets, here, we need to come down 7/8 of an inch. Give ourselves a couple marks there. Now, we can use a straight edge and just square that all up. This is kind of a medium stiffness of plastic, so I think a razor knife would be fine to cut it. Just want to try and score it a few times. Once we have that large area out, we can go through and just trim it up, make it look nice. With a little rubbing alcohol, we can clean that dry erase marker off there. Now we're going to remove the two hooks from the truck. You can see we've got a bolt right here that we're going to remove, and then there's also a nut right there. We'll do this on both sides of the vehicle. We'll need an 18mm socket for that. With these side bolts, they are a pass-through style bolt, so you might need a wrench to hold one side while you loosen the other. Now, we'll pull our bolt out, there, and our tow hook should slide right out of the opening, just like that. Just above the tow hook bolt, there, you're going to have two more nuts on the inside of the frame rail, here, on the driver side. We're going to get these removed. These support the bumper, so we don't want to pull those bolts all the way out. We're just going to push them back in to where they become flush. You can see that little bit of wiggle that we've got there in the bumper, we're just going to push those back so that they're flush. On the passenger side, they go through from this direction towards the outside. We'll pull that completely out, rotate it, and put it back in, so it looks just like this. 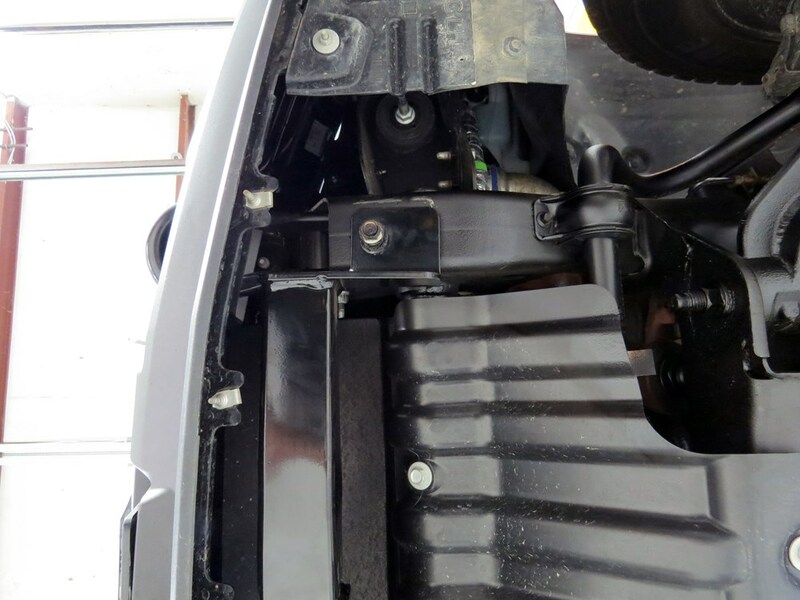 As we support our bumper, we want to pull our bolts out, rotate them out to the other side, and then slide them in again so they're flush, so that'll support our bumper. We won't have to worry about it moving. With an extras set of hands to help us out, we're going to raise our hitch into position. The plates that come up the side are going to go in between the frame rails, and then the two holes in the top, that's where that double bolt is going to pass right through it, and we'll be able to put our nuts on the outside edge, here. Just take a quick look at our opening, here. That looks really nice. Our bolts have come through, so let's just put the nuts on there to hold them in place. Just going to install these loosely for now. With those loosely installed, we'll grab our tow hooks. Those are going to go right back in where we got them out of. We want to be sure that all of them are going through into the middle of the truck. We replace the one we took out of the bottom, there. Put our nut back in there, and do the same thing over there on the passenger side. We want to snug down our nuts there. If we look in our instructions, we're going to find the appropriate torque specification. We're going to go through and torque down all of our bolts appropriately. 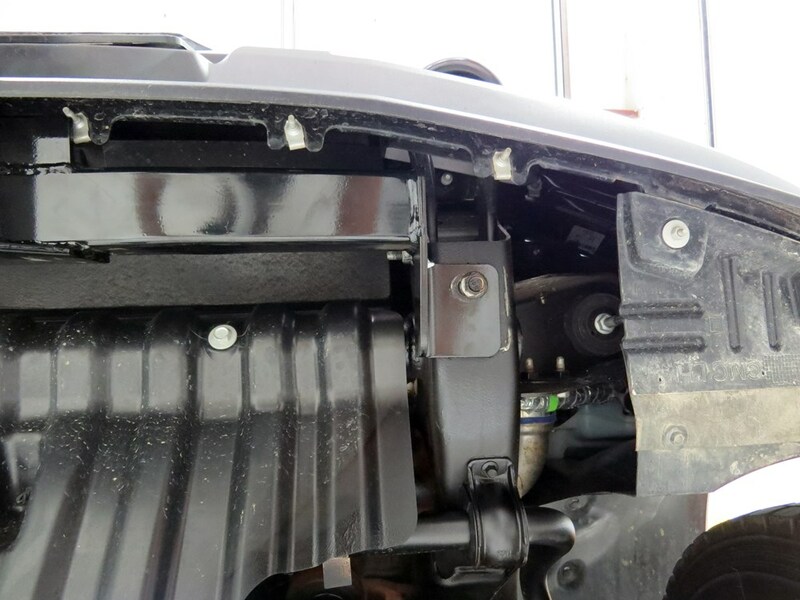 With all of our hardware torqued down to the appropriate specifications, that's going to complete our install of the CURT front mount trailer hitch receiver, part #C31023, on our 2014 Chevrolet Silverado 3500. Order: RelevanceNewestRating - High to LowRating - Low to High Easily attach a variety of accessories to the front of your vehicle with this fully welded, corrosion-resistant trailer hitch receiver. Perfect for winches, spare tire carriers and more. Excellent! As with every product i have purchased thru etrailer. I use a motorcycle carrier on the front for my 125 scooter while pulling my fifth wheel. It is very secure and the finish has held up fine. I would recommend this purchase. The hitch has worked out just fine for a variety of uses. 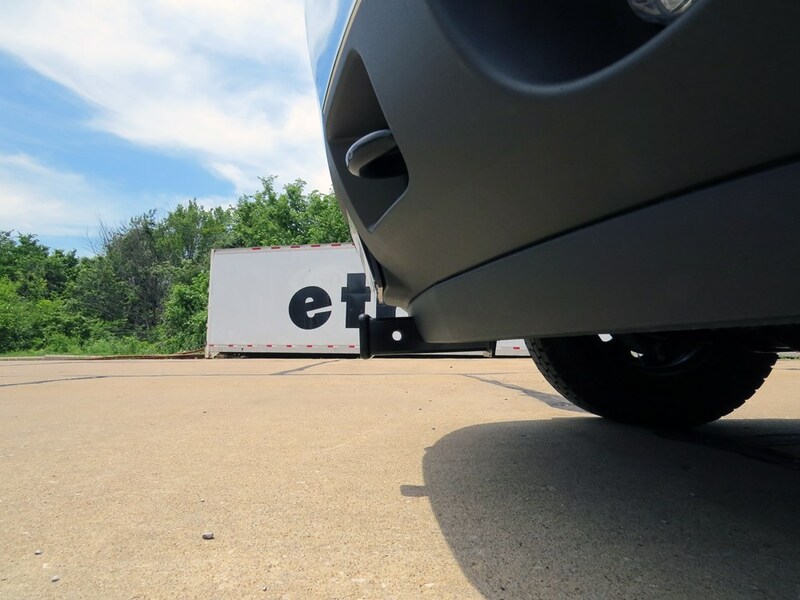 I have always been impressed by all the _towing_ related articles purchased from etrailer. After a year, I am still extremely pleased with the hitch. It is solid and provides the solution I needed. Exactly as I had hoped. Can a Front-Mount Hitch and Adapter be Used to Push a Trailer Into Tight Spots? Curt front-mount hitch receiver # C31023 fits only 2500 and 3500 series Sierras but we do have two front hitches for your 2011 GMC Sierra 1500, part # 65052 from Draw-Tite and part # 31322 from Curt. Both 2-inch hitches are rated for 500-lbs of vertical load (tongue weight) and for a 9000-lb line pull. 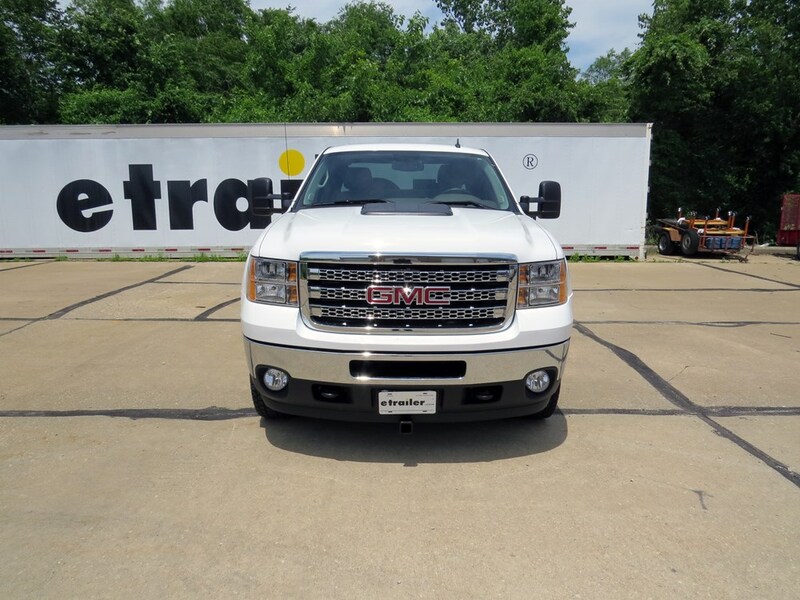 There are no higher-rated front hitches for your truck. 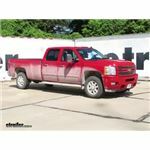 The Curt front hitch part # C31023 that you referenced does allow you to retain the front tow hooks of your 2011 Chevy Silverado 2500HD so it would be the better choice. 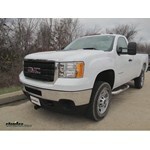 The Curt front mount receiver # C31023 is listed as a fit for the 2013 GMC Sierra 2500HD. 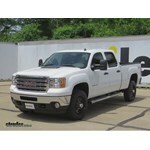 Denali models are not excluded. Installation will be nearly identical on a 2013 as in the video for the 2011. I have linked the video for reference. 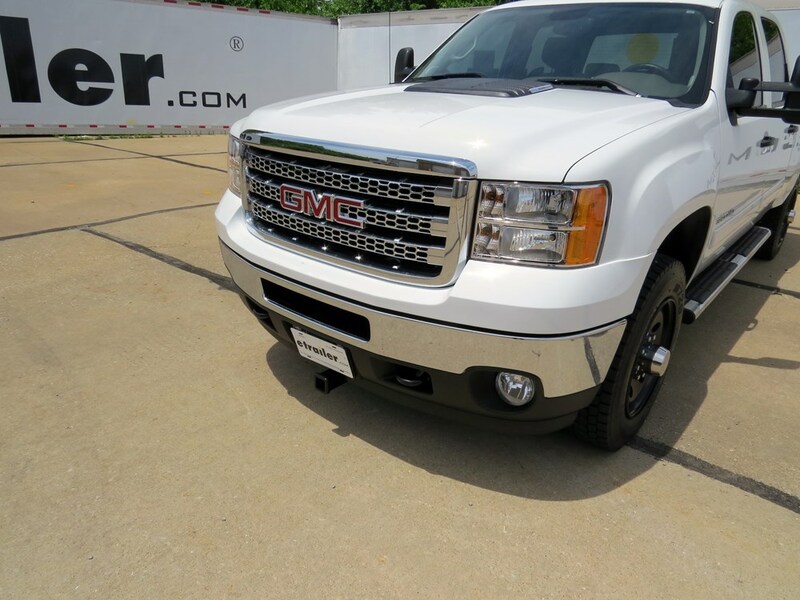 Even on Denali models, the front fascia trimming should be minimal. I have included a link to the installation details for you. 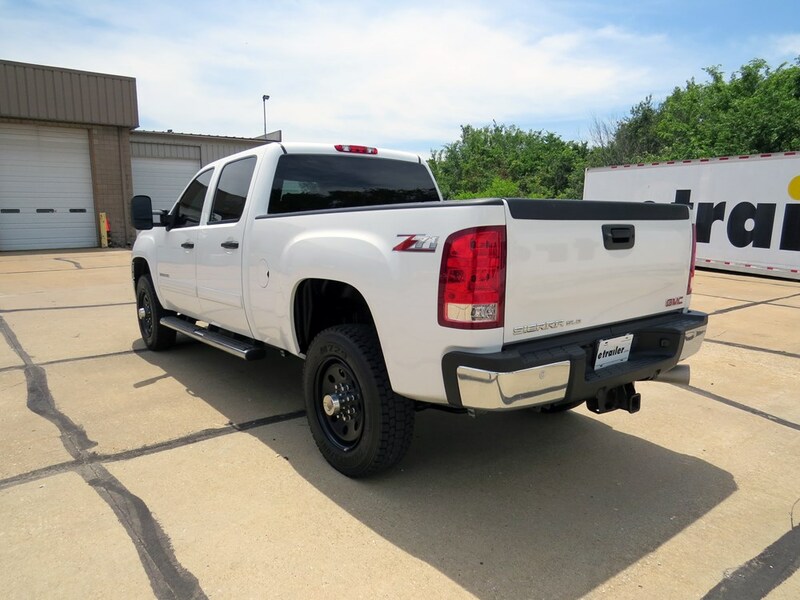 For a front hitch for your 2012 Chevy Silverado 3500 the Curt hitch part # C31023 is a confirmed fit and would work great for mounting a bike rack like the Swagman XC2 part # S64650 that you referenced. In this price range for a bike rack I like to recommend the Hollywood Racks # HR200Z as it costs about the same and is much more stable on the road. If you check out the test course videos I attached you'll see how they both compare. 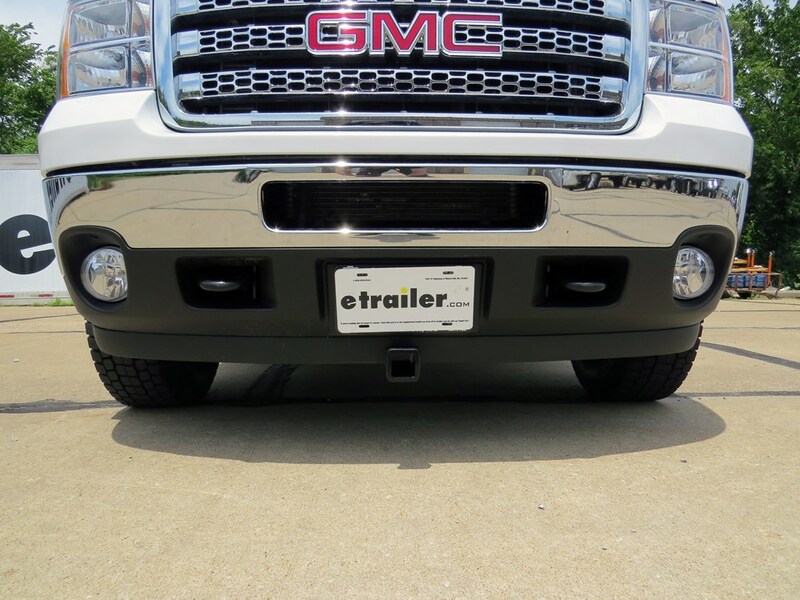 I spoke with my contact at Curt who told me that front mount hitch # C31023 will fit the 2014 GMC Sierra Denali but because of the differences in the front fascia/bumper and air dam there may be some trimming required to get the hitch to fit. 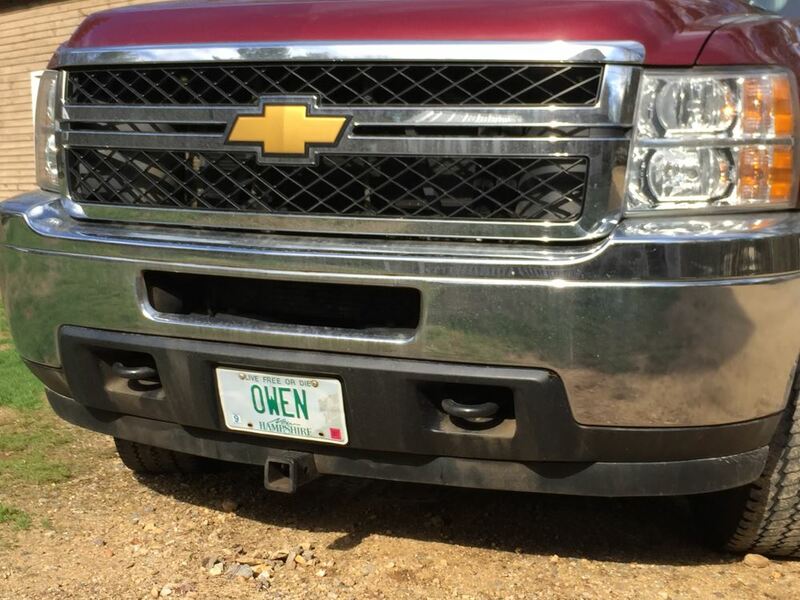 Once installed the receiver will exit below the front license plate. I have linked a video showing a typical installation for you. We offer several choices in a front-mount 2-inch hitch receiver for your 2015 Chevrolet Silverado 2500 that can be seen by clicking on the included link. I recommend the Draw-Tite # 65078 since it is the most cost-effective choice. 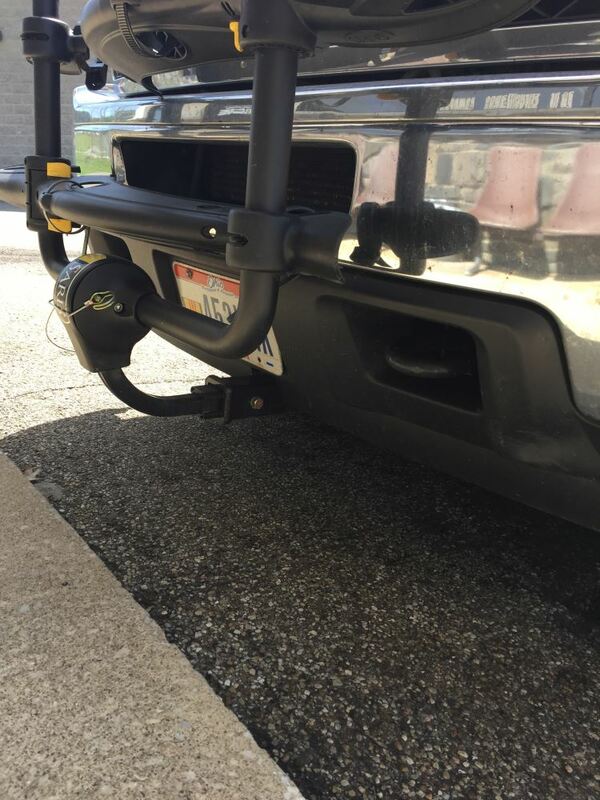 This hitch installs without drilling and it includes the required installation hardware. I spoke with my contact at Curt about Front Mount Hitch, # C31023. 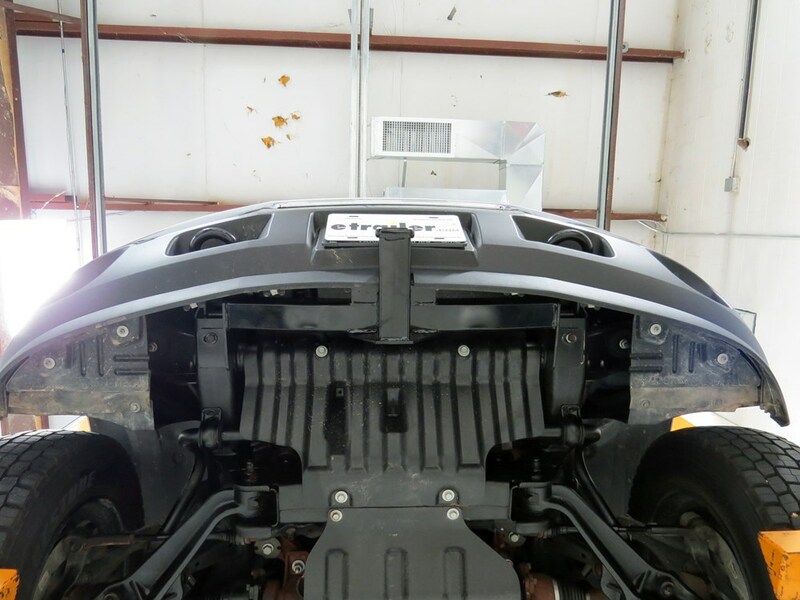 He stated that the receiver will be located below the bumper and below the fascia piece. 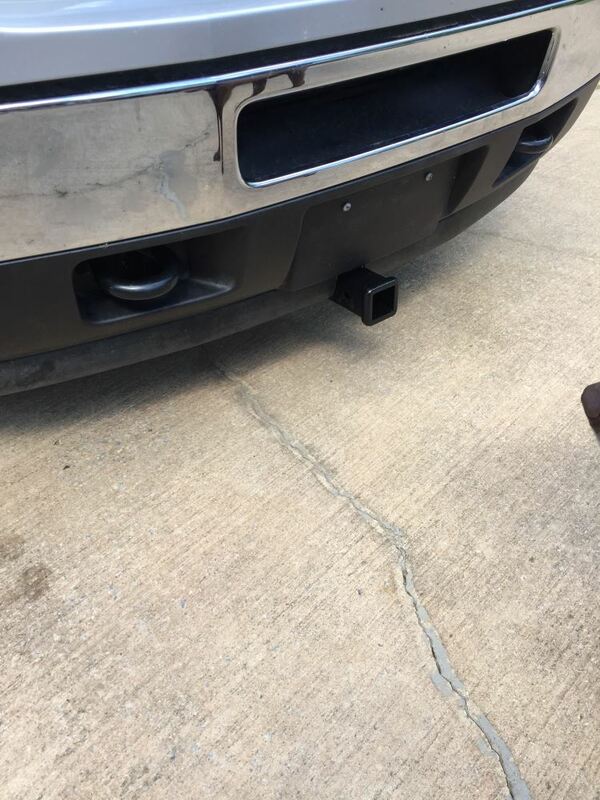 He stated that the face of the receiver will be about 2 inches further back than the bumper. I have included a link to the installation instructions for you to look at also. 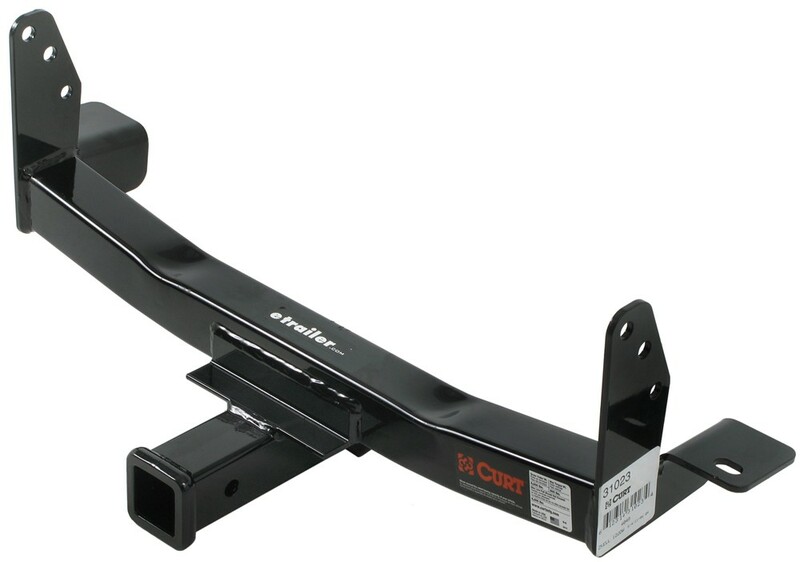 The Draw-Tite Front Mount Trailer Hitch Receiver # 65078 unfortunately will not fit your 2011 GMC Sierra Denali, instead you need to go with the Curt # C31023. We have tried looking into this ourselves but we haven't been able to really determine why one will fit and the other one won't. 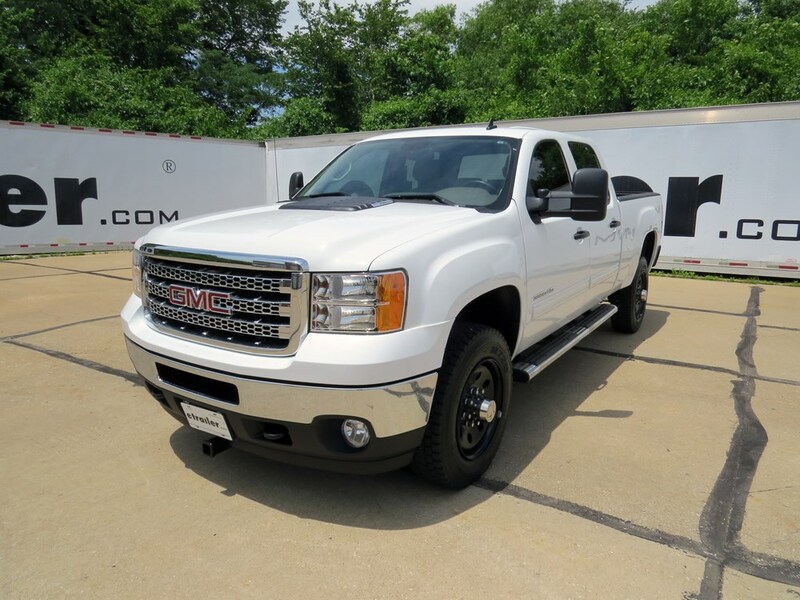 Since front mount hitches are vehicle specific though there is likely a small difference behind the fascia on your Denali that prevents the Draw-Tite option from being properly installed.